ICBB is pleased to announce this Call for Proposals for individuals or groups interested in co-organize the next ICBB conference, arranged in the third quarter of 2020. The proposal deadline is the 1 September, 2019. If you are not personally interested but know of someone else who could do an excellent job of organizing this event, please feel free to forward this information. With the aim of continuing these successful conferences, ICBB is now soliciting applications for the co-organization of our next meeting for 2020. ICBB is designed to promote interactive discussions at both the talks and poster sessions, and will feature a mix of invited speakers drawn from a wide variety of backgrounds and experiences. 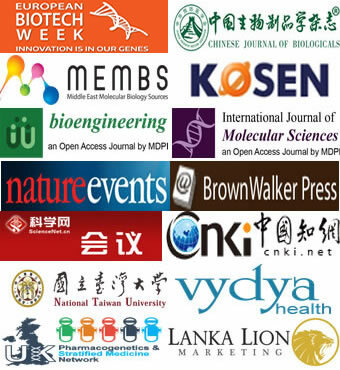 The conference is therefore purposely broad to cover all aspects of biotechnology and bioengineering. The main objective of this conference is to bring people together from diverse disciplines to review progress and to exchange ideas in all aspects of biotechnology and bioengineering. Having co-organised the ICBB conference with Institute of Bioorganic Chemistry Polish Academy of Sciences; Adam Mickiewicz University in ICBB2019; Szent Istvan University, CAR - Hungarian Academy of Sciences, in ICBB2018, ICBB now looks to continue expanding its network of affiliations by seeking proposals from other universities or institutions, or by working with a group that has a similar interest in organising a new biotechnology meeting. · Circulate the conference information, advertise and promote the conference in scientific platform. · No financial support will be needed. · Proposals that emphasize and encourage attendance from a diverse range of regional groups and attendees will have an advantage. · The meeting should be in a place where there is expected to be a sizeable local community from which attendance can be expected, as well as reasonable international access to a nearby airport. · Proposals should be submitted via email to icbb@apaset.org by 1 September 2019.